This year we have added Soccer to the Delta Streets Athletics program. We have a team of 17 guys who are coached by Josh Reagan. Coach Reagan grew up playing soccer, was a member of the Brandon High School soccer team for 4 years, and then went on to play a year at Holmes Community College. Only 4 of our team members have any experience playing competitively, and it has been years since they have taken the field. 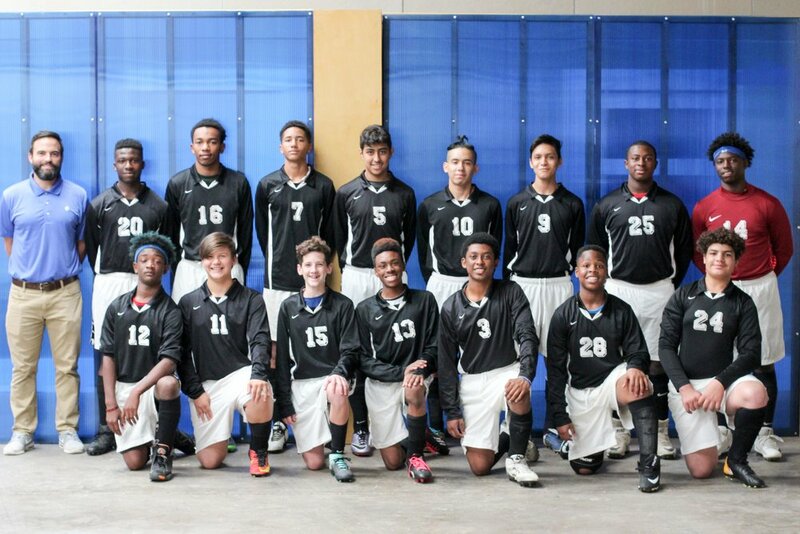 On Tuesday they played their first game against Columbus Christian. "It wasn’t a good final score but the guys played hard. The guys started off playing very timid and we gave up 7 goals in the first 30 minutes. They started playing better and we only gave up 3 or 4 the remainder of the game. The score was not very indicative of how DJ played in the goal; he had many great saves throughout the game. They sang "We are the Champions" on the ride to Chick-fil-A, so I don’t think their spirits were crushed." With soccer, the guys can learn to work together as a team and not to lose heart when they are down. We can use every opportunity to get better and glorify God by giving our best effort. Check out the full soccer schedule HERE.